KAMPALA/KIGALI – Andela, one of the leading technology companies specialised in training software engineers, announced Wednesday that it had raised $100 million (Shs369b) funding through its fourth round seed stage financing, also known as Series D funding. The money was raised through a venture capital drive that was led by UK-based firm, Generation Investment Management. Other investors include Chan Zuckerberg Initiative, Google Ventures, Spark Capital, and CRE Venture Capital. According to the statement from Andela, the most recent financing brings the company’s total venture funding to $180 million. Andela, whose Pan-African hub is based in Uganda and Rwanda, said the new funding will help the company to continue building distributed engineering teams with Africa’s top software developers. “With the Series D funding, Andela will accelerate the development of its technology platform to identify, develop and match talent at scale. By doing so, Andela will provide its customers with the data they need to understand developer performance and better manage distributed teams,” reads the statement in part. The company also plans to expand its presence across Africa to meet the global demand for high-quality engineering talent with the funding. Upon the completion of VC capital raise, Jeremy Johnson, the Co-Founder and Chief Executive Officer of Andela, argued that it is increasingly clear that the future of work will be distributed, in part due to the severe shortage of engineering talent. 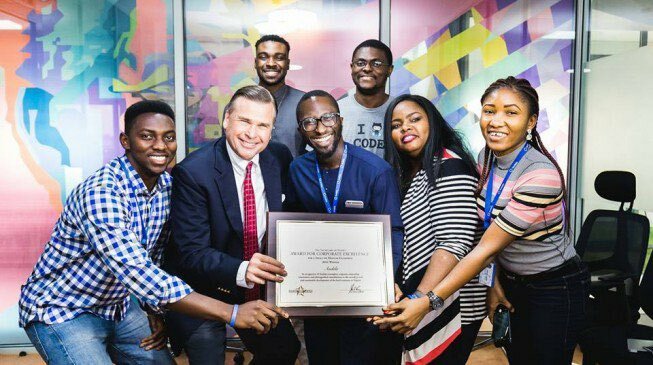 “Given our access to incredible talent across Africa, as well as what we’ve learned from scaling hundreds of engineering teams around the world, Andela is able to provide the talent and the technology to power high-performing teams and help companies adopt the distributed model faster,” he noted. In July of last year, Andela announced its expansion into Rwanda and Uganda through the establishment of a first Pan-African hub, and this month the hub received the first cohort of ten software developers. As the demand for software engineers rise, Lilly Wollman, Co-Head of Growth Equity at Generation Investment Management which helped the American startup to raise venture capital, believes such capital will help companies like Andela respond to that rising demand. This year, Andela is projected to double in size, hiring another one thousand software developers and investing heavily in data, engineering, and product development. Andela was founded in 2014 to connect Africa’s engineering talent with the demand for software developers worldwide. In four years, Andela has assessed more than one hundred thousand applicants, hired one thousand software developers, and integrated them into hundreds of companies, such as Safaricom, Percolate, and In Vision.